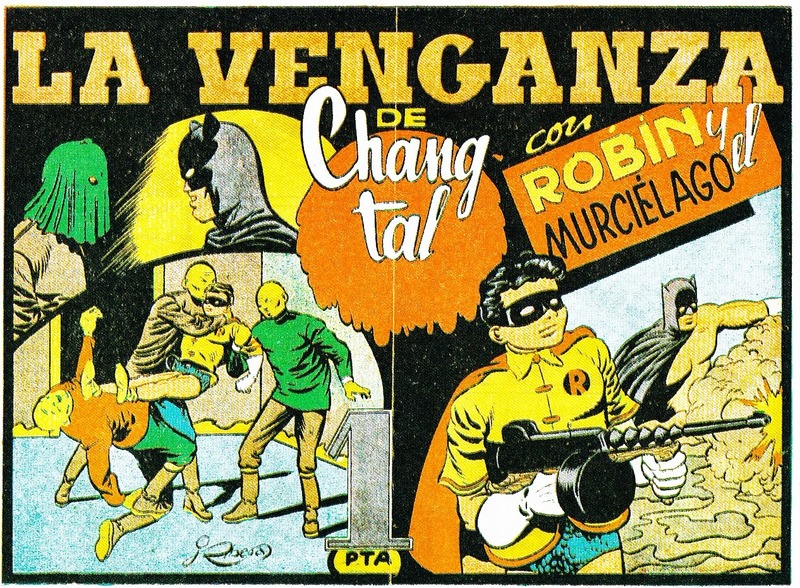 Over at the ZONTAR OF VENUS website they recently shared an amazing collection of Bootleg BATMAN AND ROBIN Comic Book Covers from Spain that are way too incredible to not be seen. 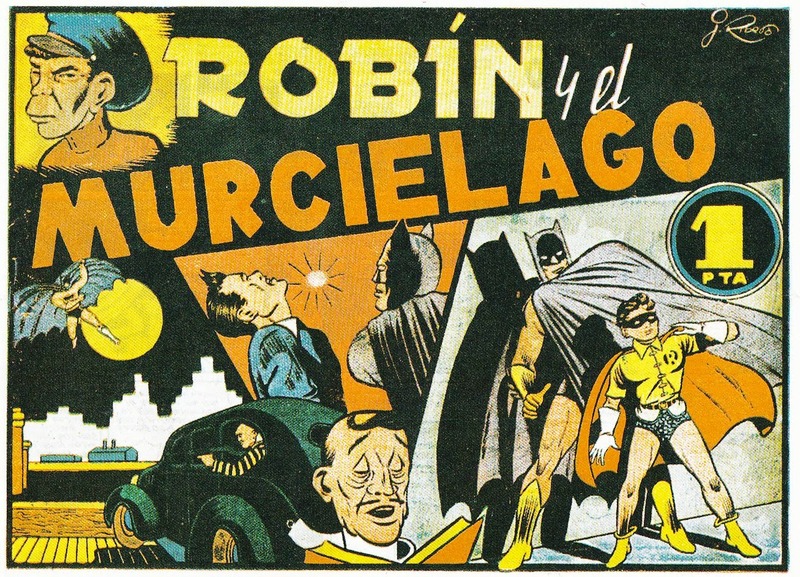 The books were created by Cartoonist Julio Ribera and writer J. Fernandez and they feature unauthorized versions of the Dynamic Duo with Robin as the main star. 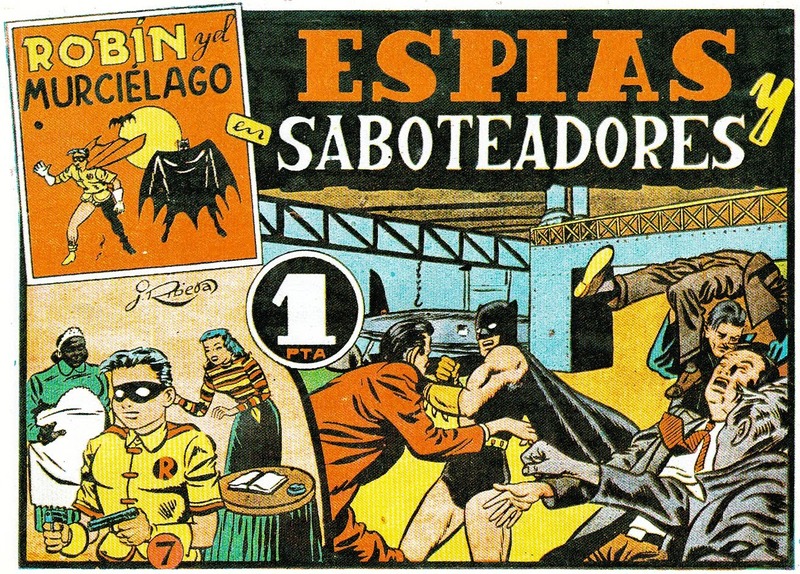 The goofiness of the vintage 1940's style artwork is worth checking out. I have only given a few examples here but if you visit their WEBSITE you can see much much more.